The Philadelphia Phillies made it to the World Series in 2009 largely on the shoulders of their midseason acquisition, Cliff Lee. In 2010, they tried to do the same with the addition of Roy Oswalt. It didn’t work. 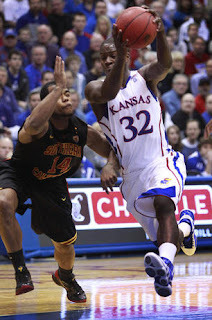 Josh Selby, Kansas (freshman): Had 21 points and the game-winning shot in his debut against USC; scored 18 in his second game. Renardo Sidney, Mississippi State (freshman): Averaged 15.5 points and 4.5 rebounds before getting suspended for fighting with a teammate. Jio Fontan, USC (transfer from Fordham): Averaging 16.3 points and 3.3 assists in three games, including a win over Tennessee. 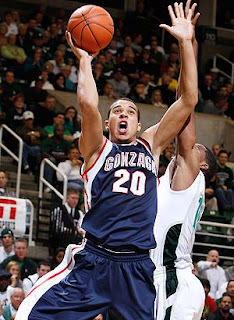 Drew Gordon, New Mexico (transfer from UCLA): Averaging 9.0 points and 4.0 rebounds in three games. Mike Holmes, Coastal Carolina (transfer from South Carolina): 13.7 points and 9.0 rebounds in three games, including wins over LSU and East Carolina. Dominique Ferguson/Alex Legion, Florida International (freshman/transfer from Illinois): Legion is averaging 14.7 points and 8.0 rebounds, while Ferguson is averaging 7.0 points and 3.5 rebounds. Greg Echenique, Creighton (transfer from Rutgers): In three games, the big man is averaging 11.3 points and 4.0 rebounds. Roberto Nelson, Oregon State (freshman): Inconsistent first four games: four points, 13 points, three points, 14 points. Charles Hinkle, American (transfer from Vanderbilt): Averaging 5.3 points and 3.0 rebounds; scoreless in 11 minutes against Pittsburgh. Jon Kreft, Florida State (transfer): Playing 8.0 minutes per game; averaging 2.8 points and 2.4 rebounds. Jeronne Maymon, Tennessee (transfer from Marquette): Making his biggest impact on the boards, averaging 5.3 rebounds in three games. Olek Czyz, Nevada (transfer from Duke): Putting up 8.0 points and 5.3 rebounds, although Nevada is 1-3 since his addition. Nikita Mescheriakov, Wake Forest (transfer from Georgetown): 5.0 points in four games since his arrival. Diamond Taylor, Southern Illinois (dismissed from Wisconsin): Scored seven points in his debut against Northern Illinois. 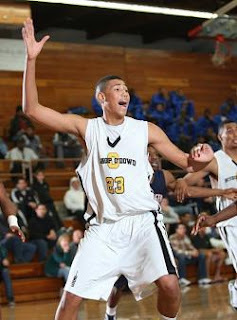 Tevin Baskin, Quinnipiac (freshman): Played two scoreless minutes in his debut. 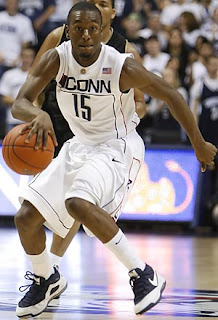 Jesse Morgan, Massachusetts (newcomer): Played four minutes and scored one point against Central Florida. 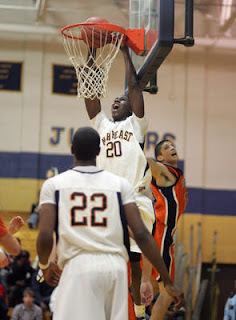 Teeng Akol, Western Kentucky (transfer from Oklahoma State): Has scored five points in 12 minutes since his arrival. Obviously, this is a very small sample size and many of these players are still getting into game shape and becoming used to how their systems are being implemented in an actual game. However, many of these touted arrivals are struggling in their new environments. Fontan is going to be the key for USC to contend in the Pac-10, while Selby is going to be the main cog in the Jayhawks’ title run. Holmes and Gordon might be the difference for their teams making the NCAA Tournament, and Echenique should help Creighton in the Missouri Valley. As for Sidney, well, we'll see what happens. However, many of these players are not going to have a huge impact on their respective teams – or a Cliff Lee-esque impact. Like I said, it is a small sample size and it is still very early to judge what sort of impact these players will have on their new teams, but the bottom line remains the same: semester break additions – like their trade deadline counterparts in professional sports – are, more often than not, overhyped disappointments that don’t make a noticeable impact as the season progresses. The last few days of December and the first weekend of the New Year is always an exciting one for college basketball. It still features some marquee non-conference games that could not fit in the previous calendar year, but it also marks the first full week of conference play for nearly every conference around the country. It is the week where teams begin to show their true colors – if they are a contender or a pretender. This year is no different, as this week is absolutely loaded with must-watch games, both inter-conference and intra-conference. Also, don’t look now, but there’s just ten weeks until Selection Sunday – the stretch run starts now. Note: Doesn’t include the Connecticut and Pittsburgh game from Monday night. No. 12 Purdue at Michigan (Tuesday): Purdue still somehow looks like a team that can contend for a Big Ten title, while Michigan has won seven in a row. No. 14 Minnesota at Wisconsin (Tuesday): Can one of these teams hang with Ohio State near the top of the standings? Minnesota is out to prove its non-conference performance was no fluke. Providence at No. 5 Syracuse (Tuesday): Providence has only two losses on its resume, but heading to the Carrier Dome in Big East play is a different animal. St. John’s at West Virginia (Wednesday): St. John’s has not lived up to its preseason hype, while West Virginia has had an up-and-down couple of months. Boston College at Rhode Island (Wednesday): If you say Boston College is the second-best team in the ACC right now, who am I to argue? A road win would be impressive. No. 9 Georgetown at No. 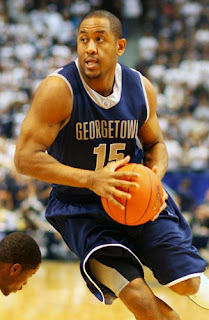 15 Notre Dame (Wednesday): Georgetown might be the best team in the Big East, while Notre Dame has been a pleasant surprise so far. Marquette at No. 24 Vanderbilt (Wednesday): Marquette lost Reggie Smith to transfer earlier this week, but he wouldn’t make a difference at the Commodores anyway. Washington at USC (Wednesday): Is Washington the clear-cut favorite in the Pac-10? USC has been playing well since Jio Fontan became eligible after his transfer. Washington State at UCLA (Wednesday): Washington State is finally playing to its potential after a disappointing campaign last year; UCLA has been hard to figure out. Saint Mary’s vs. Mississippi State (Wednesday): Saint Mary’s has positioned itself for a shot an at-large big again, while Mississippi State is an utter disaster right now. No. 25 Temple at No. 8 Villanova (Thursday): The two best teams in the Philadelphia area go head-to-head. Both teams have some question marks heading into conference play. Iowa State at Virginia (Thursday): A couple of surprising BCS-conference teams. A win for either team would provide nice momentum heading into league play. Old Dominion at No. 10 Missouri (Thursday): Aside from a loss to Delaware, Old Dominion has been solid this season. Missouri is absolutely must-see TV. D’Vauntes Smith-Rivera seemed content when he committed to Xavier back in late October. However, after only a few weeks, Smith-Rivera and his family started to rethink the decision. A normally dull recruiting period over the holidays was spiced up with the news of Smith-Rivera’s decommitment on the Sunday after Christmas. There was a reason for the timing, though. When Smith-Rivera, a 6-foot-3 combo guard from North Central (Ind. 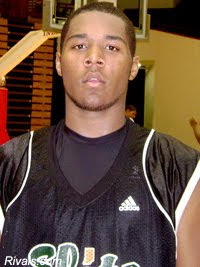 ), originally made his decision, he chose the Musketeers over Georgetown and Wake Forest, with Miami (Fl.) and Ohio State also in the running. Expect plenty of new programs to enter the mix now that he is back in the market. Schools have already begun to make Smith-Rivera a priority during his second trip through the recruiting process. “There are some that weren’t as active in his recruiting before, that I guess plan to be now,” Rivera said. She went onto pinpoint two schools getting an early start on his recruitment. This time around, Rivera said her son isn’t looking for anything different – just a fresh perspective. Smith-Rivera had missed much of the summer and fall with a knee injury, but he has bounced back and picked up where he left off. 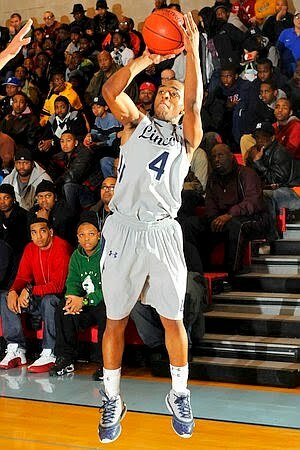 North Central is 5-0 with wins over teams featuring Marquis Teague, Jeremy Hollowell, DeJuan Marrero and Gary Harris. 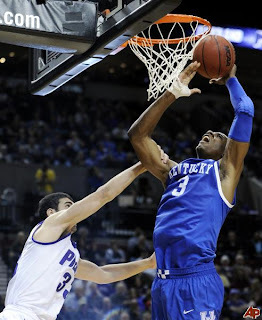 Smith-Rivera is averaging 30 points per game, but is still looking to improve his outside shot and explosiveness. The injury has not hampered him one bit. When watching Anthony Barber on a basketball court, it’s hard not to notice his nose for the basketball and his energy. Not surprisingly, Barber gets a lot of his aggressiveness from another sport. 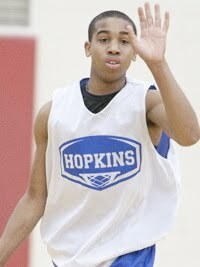 Barber, a 6-foot-2 guard from Hampton (Va.), is one of the top prospects in the class of 2013. 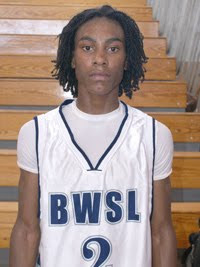 His father said that he is playing well so far during his sophomore; more importantly, he is improving. As far as recruiting, Anthony’s father admits it’s very early in the process. “He’s got two more years, he’s only in 10th grade,” he said. With that said, he did say that nearly everyone is coming at his son right now. When we spoke with Anthony at the NIKE Peach Jam, he mentioned Virginia Tech, North Carolina and Kentucky as three schools that were showing interest. “The home state teams are coming at him the hardest,” his father said, presumably referring to Virginia and Virginia Tech. His father said Anthony plans to take his time with the process. “I might check some [schools] out, but I’m not pushing my son,” he said. The Houston Hoops program has been a hotbed for college prospects over the years, and the next big-time prospect out of the area is likely to be Justin Jackson. 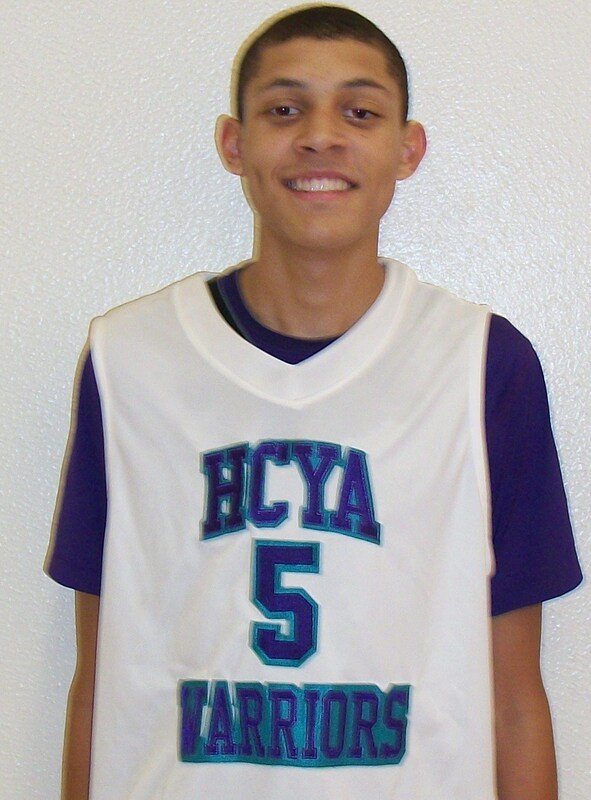 Jackson, a long and athletic guard from HCYA (Tex. 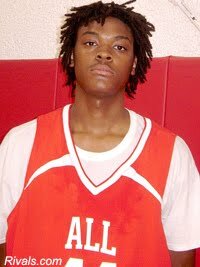 ), is a match-up problem due to his height and skill set. He can shoot from 3-point range and also finish in traffic around the basket. Jackson is also deadly with his mid-range shot and has terrific basketball IQ and knowledge of the game. Even though he’s just a sophomore, it comes as no surprise that college coaches are constantly on hand to watch him this season. Jackson said Texas, North Carolina, Texas A&M, Baylor, Oklahoma and Washington have already stopped by for a game or practice this year. Unfortunately, Jackson is not content with his team’s performance. Colleges have not let that slow down their recruitment of Jackson, though. In addition to the schools that have watched him, he said he has also received interest from Marquette, Georgetown, Miami (Fl. ), Utah, Stanford, George Mason and Kansas. Despite so many suitors, Jackson has not really started the recruiting grind yet. Jackson said he might take a couple of unofficial visits when the calendar turns to 2011, but he has not decided which schools he wants to check out. “I’m just trying to stay focused on my game and getting better,” he said. Any time a top-10 prospect suffers a knee injury, it has the potential be very bad news. Luckily for Brandon Ashley, his recent injury turned out to be minor. The 6-foot-8 power forward from Bishop O’Dowd (Calif.) missed about two weeks, including one tournament. Not surprisingly, the injury has not slowed down his recruitment at all. His list includes nearly every high-major school in the country, including California, Oregon, UCLA, Stanford, Washington, Arizona and every Pac-10 school. Moreover, schools like Texas, Kentucky, Georgetown, Georgia Tech, Kansas, North Carolina and Wake Forest are among the others heavily invested in Ashley. Although Ashley has only played a couple of games this season, coaches are still coming through to check out his development. 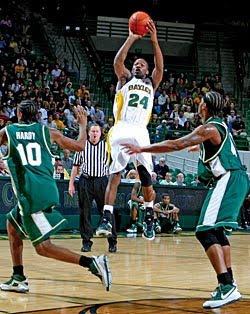 “Oregon has come to a practice, North Carolina to the alumni game, and Cal to my first game back,” he said. Expect the Bishop O’Dowd gym to be like a revolving door for college coaches in the coming months. Elijah Macon made waves last spring when he backed off his commitment to West Virginia. However, little has been heard from the 6-foot-8 Marion-Franklin (Ohio) product since then. Now, the junior forward has seen the other options and is going through his recruitment for a second time. Cincinnati, Tennessee, Marquette and Dayton are currently pursuing him, as well as the school from which he decommitted, West Virginia. Macon said West Virginia, Cincinnati and Tennessee are coming at him the hardest. “I’m going to make a top-five after this season,” he said. He might take an unofficial visit to Tennessee next week. “[I’m looking for] a team that likes to run non-stop and just a good environment,” Macon said. Although the season is young, Macon has been doing his best to keep his name out there. In front of coaches from West Virginia and Cincinnati, he put up 19 points and 11 rebounds in his first game, followed by a 20-point, 12-rebound performance in his second outing. As many of you know by now, I was recently brought on by Jeff Goodman as a contributor to his coverage at FOXSports.com. I will be helping him out with the Nightly Awards, mid-major and freshmen stories as well as other timely and interesting articles. Essentially, I will do my best to make the FOXSports.com college basketball blog a one-stop shop for everything that’s going on in the world of college hoops. In order to catch up on everything I’ve done for FOXSports.com so far, check out the links below. No. 22 UNLV at No. 6 Kansas State (Tuesday): A couple of teams that could really use a win to get back on the right track. UNLV beat Southern Utah on Saturday, but had lost to Louisville and UC Santa Barbara before that, while Kansas State is coming off a 44-point performance against Florida. Whose frontcourt will step up? No. 22 Texas at No. 14 Michigan State (Wednesday): Both teams have been difficult to figure out all season. Texas has wins over Illinois and North Carolina, but also a blowout loss to USC. Michigan State is not playing like its typical self, although Tom Izzo-led teams are usually at its best late in the season. No. 12 Illinois at No. 13 Missouri (Wednesday): A rivalry battle between two of the Midwest’s best teams. Some touted Illinois as a dark horse Final Four team, but a three-point loss to Illinois-Chicago brings that into question. Missouri has only an overtime loss to Georgetown keeping it from an undefeated campaign. No. 10 Georgetown at No. 16 Memphis (Thursday): One team has been exceeded expectations, while the other is taking awhile to get going. Georgetown has looked like a legit Final Four threat, with some of the best offense around. Because of injuries, Memphis is playing with almost all new players – and it’s showed. Diamond Head Classic: One last big-time tournament before we get into conference play. The semifinals and finals should be some of the best around, as we could see Butler vs. Florida and Baylor vs. Washington State. A Baylor – Florida State finale would feature some of the biggest and deepest frontlines in the country. USC at No. 7 Tennessee (Tuesday): In its first game with Jio Fontan, USC almost went into Kansas and knocked off the Jayhawks. Tennessee is coming off losses to Oakland and Charlotte after winning at Pittsburgh last weekend. Mississippi State vs. Washington State (Wednesday): Renardo Sidney’s debut had some highlights and lowlights, but Mississippi State still isn’t the same without Dee Bost. This is the best first-round game at the Diamond Head Classic. Drexel at No. 5 Syracuse (Wednesday): Drexel was able to waltz into Louisville and defeat the Cardinals at the Yum! Center last week; can the Dragons do the same to Syracuse at the Carrier Dome? Don’t expect offensive fireworks. Xavier at Gonzaga (Wednesday): Two of the best non-BCS programs of the past decade go head-to-head. Despite injuries and personnel problems, Xavier is still 7-2 and one of the favorites in the Atlantic-10. Gonzaga beat Baylor over the weekend. Oakland at No. 2 Ohio State (Thursday): Oakland has played one of the nation’s toughest schedules the past couple of weeks, although it did beat Tennessee. 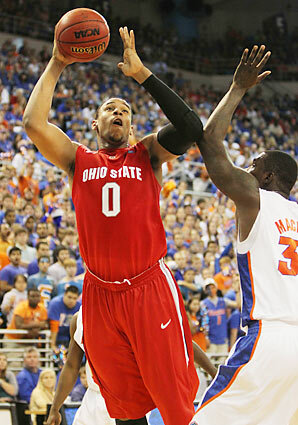 Ohio State might be the best bet of anyone to make a run at Duke for the title. Morgan State at No. 5 Syracuse (Monday): Morgan State is the favorite in the MEAC, and they have thrown scares into major-conference teams before. Syracuse could have some trouble. VCU at UAB (Tuesday): VCU has had some highlights this season, with a win over UCLA, but also a questionable loss to South Florida. UAB has a gaudy 8-2 record this season, and could compete in C-USA. No. 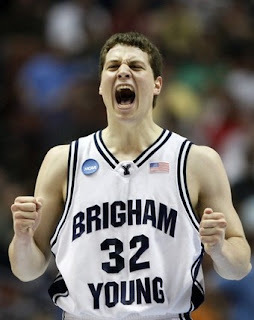 16 BYU at Weber State (Tuesday): Two of the best scoring guards in the country will be on display in this intrastate game, as BYU’s Jimmer Fredette and Weber State’s Damian Lillard go head-to-head. Stanford at Oklahoma State (Tuesday): Stanford got absolutely stomped by Butler over the weekend, and it will need to improve its offense if it wants to beat a 10-1 Oklahoma State playing its best basketball. Harvard at No. 4 Connecticut (Wednesday): First of all, I’m not sure Connecticut is anywhere near the fourth-best team in the country. Secondly, Harvard has blown out Colorado and taken Michigan to the wire – look out, Huskies. Dayton at Seton Hall (Wednesday): Both teams have been highly inconsistent this season, and can’t afford a loss if they still have at-large hopes. With that said, both teams might be in NCAA trouble already. New Mexico at Colorado (Wednesday): New Mexico is sitting at 9-1 right now, with only a loss to California. Plus, it got UCLA transfer Drew Gordon over the weekend. Colorado has won five in a row since a 2-3 start. After easily the least enticing week of the college basketball season thus far, we have several marquee match-ups this weekend. Furthermore, conference play is around the corner and non-conference games are winding down – finally. For many fans, we are reaching the point of the college basketball season where things really start mattering – the meat and potatoes of the season. Before we get there, though, there are still some loose ends to tie up in 2010. While there are only a couple of days left for Christmas shopping, don't forget to tune into a ton of college basketball on Saturday. It might be tough to find your last-minute gifts, but that can wait. There are not many games next week, so be sure to get your fill of college hoops with the handful of must-see match-ups and dozens of other quality contests this weekend. Followers of New York City basketball have heard the name Shaq Stokes for what seems like a decade. Well, the 6-foot point guard is only a few weeks away from ending what has been a wide-ranging and unpredictable recruitment. Iowa’s Fran McCaffery and an assistant came to watch Stokes on Tuesday, while TCU, UNLV, Colorado State and Hofstra have also offered. While he insists he has no favorites, Stokes said that he wants to visit TCU and Iowa next month. “Looking for a family environment and great academics,” he said. As for the current campaign, Stokes has led Lincoln (N.Y.) to a 6-0 record, including a win Thursday night over Boys and Girls, a team many pegged as the top team in the city. 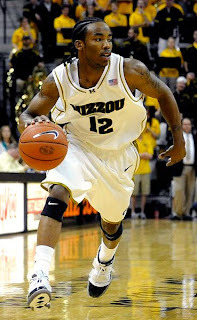 Stokes went for 20 points and six assists. Stokes is averaging 18 points and six assists on the season. Despite being a top-20 point guard by most accounts, one of the more underrated prospects on the circuit all summer was Siyani Chambers. Chambers is a lefty speedster who loves getting out in the open floor and leading the fast break. He adjusts speeds effectively and can find teammates in transition, while also showing an ability to score at the rim or in the mid-range. With the school season underway, Chambers is looking to keep the positive momentum going. Chambers currently holds offers from Santa Clara, Nebraska, Central Michigan, UC-Davis, Saint Louis and Cal Poly, with interest coming from Butler, Minnesota, Harvard, Stanford, Wichita State and Florida State. He is not sure which schools have come to watch him play so far. In terms of visits, he has taken trips to Butler, Notre Dame and Central Michigan. The 6-foot-1 jet said he is looking for a school with a good combination of academics and basketball. After an exciting week that featured plenty of top-notch battles between top-25 teams, another jam-packed weekend of quality contests is upon us. With final exams starting up at universities around the nation, there is a huge lull in interesting games next week – you can already tell by the relative lack of teams in action this weekend. However, there is still plenty of hoops to keep an eye on this weekend. An already young Memphis team will be without one of its veterans for the next five weeks, as forward Wesley Witherspoon is undergoing surgery this morning. Witherspoon suffered a meniscal tear in his right knee on Nov. 17, but has played through the pain. “He hasn’t practiced in two and a half weeks,” head coach Josh Pastner told Jeff Goodman of FOXSports.com. The 6-foot-7 junior is averaging 13.0 points and 4.6 rebounds this season, but will miss games against Georgetown and Tennessee.